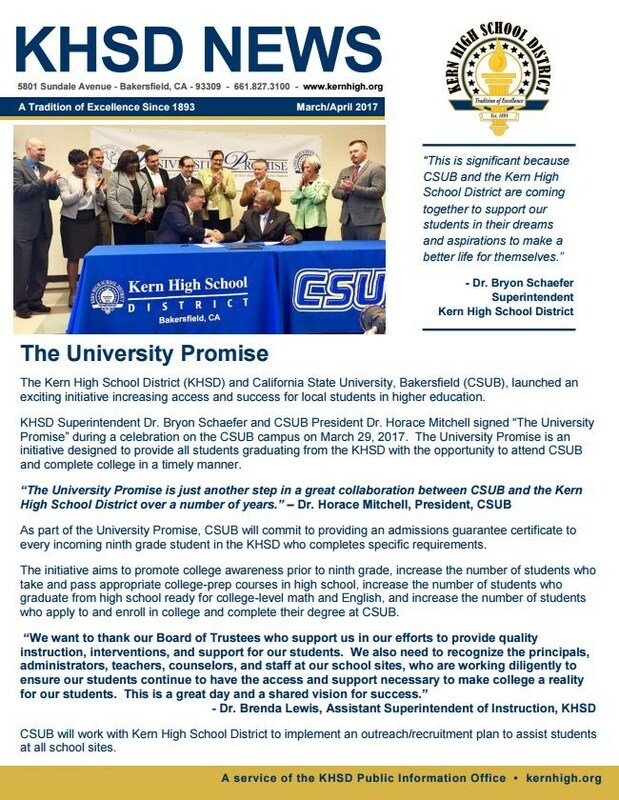 The Kern High School District is dedicated to maximizing student success. Ongoing communication among all stakeholders is the key to making sure our students are supported to the best of our ability. Please notify us if you would like more information regarding any Kern High School District program. Each month, I send out a newsletter to share the latest accomplishments of our students and staff. Click on the image below to open our latest edition of the KHSD News.